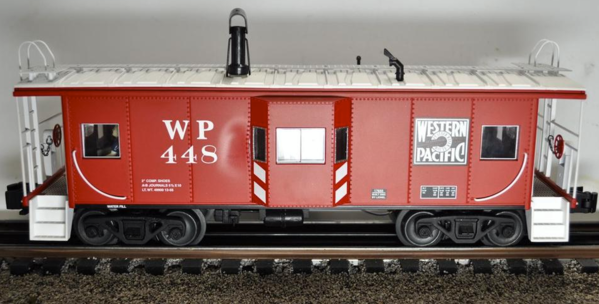 I just received a K-Line #K613-1933 Reading smoking caboose. No instructions were to be found in the box. There is a switch on the underside that has two positions. One position says IMC/CRS the other position says Conv. Since I operate conventional I presume the switch should be slide to that designation. Are there any other things I should know about the caboose. If that is the TMCC/conventional switch, you are correct to leave it in Conv. These switches came to be because cabooses with smoke from before TMCC existed can easily melt their roof or other body areas with a full 18 V on the track all the time. Dave, you are correct. Here's the underside showing the switch. Ah. Memory clearing, fog lifted. . TMCC/DCS does make more sense than TMCC/RS. Note that little plastic "cover" that was used to force an operator to switch it to Conv with specific intent, not just accidentally. That was a good idea by K-Line, IMO. If it's on TMCC/DCS and you are running conventional, you will just get low or no smoke (not tragic). If it's on Conventional and you run TMCC/DCS at full 18V on track, you can get melted caboose (obviously more of a negative impact to the unit). You probably don't want to see anything like this. It's good to see those examples to remind us! Situations like this are probably part of why I got in a habit early in my involvement with the hobby of not running TMCC or DCS at full 18 Volts all the time. I don't (often ) feel the need to run fast enough that I need all 18 volts on the track to get up to the speed I want. I don't sweat the lights being a little dimmer than they might be at 18, as long as the command functionality continues to work. So based on Dave's last posting, I shouldn't run the caboose with my LC+ loco ? I ran it for a couple of minutes tonight with my LC+ A5. The stack got quite hot and the body near the stack got warm. Would running the caboose with 18 volts to the track mean that it should be switched to the TMCC/DCS position ? Yes! (meaning yes, change the switch - It's OK to run it, just not the way I originally stated). If you are running the LC+ with the remote, that's effectively Command mode, just a new less featured flavor of command mode that didn't exist when the label was printed. If you are running the LC+ truly conventional with varying the transformer voltage, you likely wouldn't have it set at 18 volts all the time, and then setting the switch to the Conventional position would be appropriate. Since you are using 18 volts on the track continuous for your LC+ engine, leave the switch in the TMCC/DCS position. I said the other way before because you stated conventional, which means varying voltage to the track to speed up or slow down your engine. As much as this new LC/LC+ may seem like a new flavor of "conventional", for these purposes, it's command. 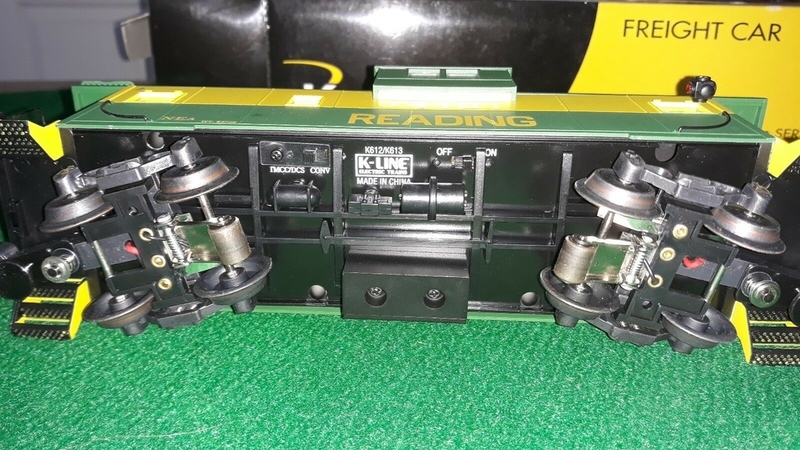 While we're on the subject of K-Line caboose switches does anyone know where I can get one? I had one go bad. Thanks. 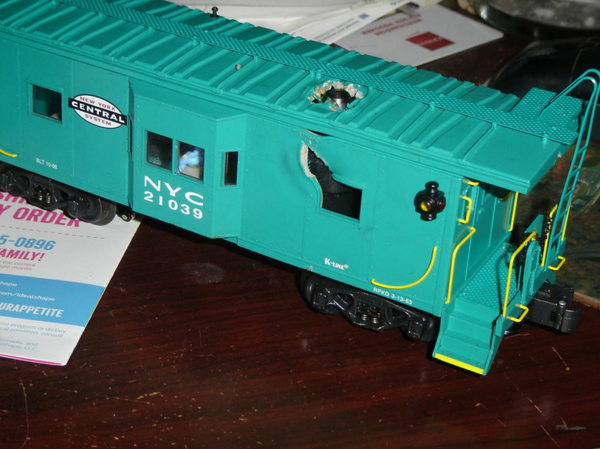 I believe the switches are the same switch that is used in a wide variety of Lionel, K-Line, and even MTH equipment. I have a whole bin of them. I don't run the smoke on K Line Caboose,they get too hot and also they can melt the spring on the Roller pickup,pick it up After you run and feel the Roller. 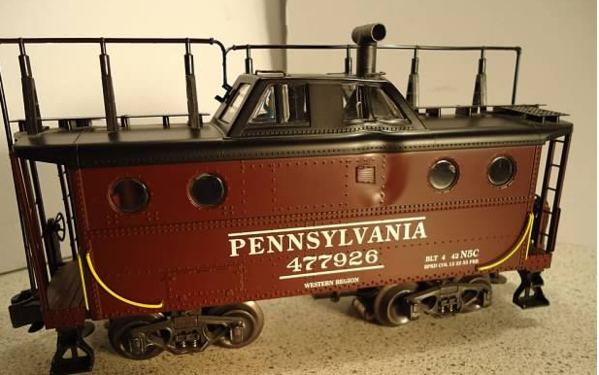 It’s never been an exciting smoke event anyway...the caboose smoke. And NEVER let the thing run dry. There's not a lot of capacity in them. The smoke output is what you might expect to see of the real life counterpart. It's just okay. Still, it is another animation that might make visitors take notice. Best to leave the smoke unit in the OFF position. The smoke is not worth the aggravation.